Bob’s Red Mill Polenta and Hazelnut Flour Giveaway Winners! Thanks so much to all of you who entered my second giveaway and for talking about your favorite polenta and hazelnut recipes in the comments section! You’ve given me inspiration for some new dishes to add to my repertoire. I love soft polenta with an over easy egg on top for breakfast, but I never would have thought of having it with fresh fruit like Sharyn from The Kale Chronicles does. Emily’s grilled polenta with black bean and corn salsa sounds like a wonderfully light and colorful appetizer. CakebyKat’s molten cake with hazelnut filling sounds divine as does macarons made with hazelnut instead of almond flour. Tt, polenta as crust for a quiche? Yes, please! 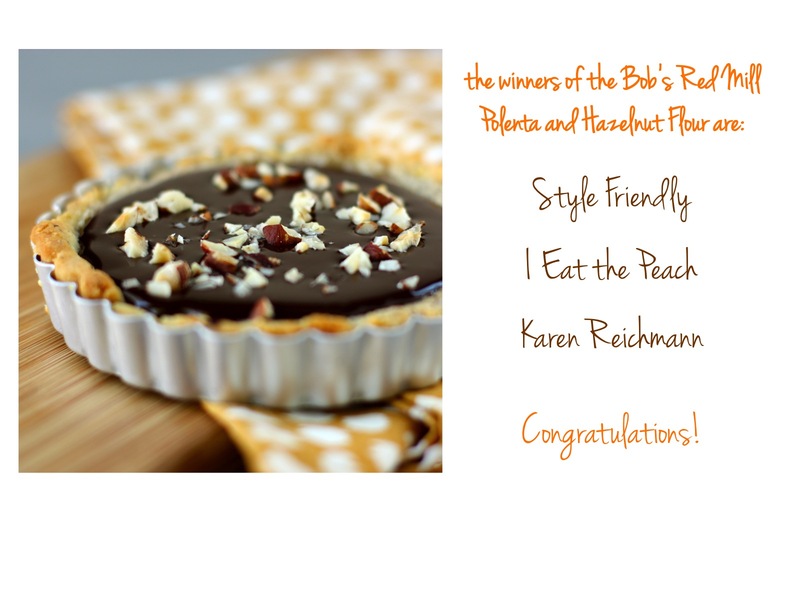 I would like to invite the three winners, Style Friendly, I Eat the Peach, and Karen R. to make the recipes they commented about and write a guest blog here to share them with us. It would be great to see how each one of them would use Bob Red Mills products. I, for one, would love to see Style Friendly’s hazelnut brownies and the hazelnut brown butter cake that Zoe from I Eat the Peach mentioned. I’ve got lots of eggplant and Karen’s ratatouille would be a good use for them. I will be notifying the winners via email this morning, so please check your inbox! I need to collect your contact information, including your phone number to forward to Bob’s Red Mill. In case you are interested in how I picked the winners, I used this app I found online called Random Line Picker. 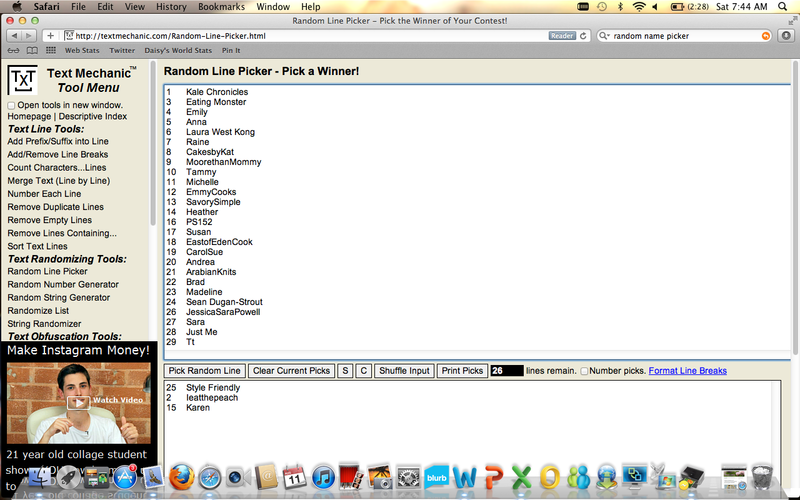 Here’s a screen shot of the list of entries and the three winners picked at random.